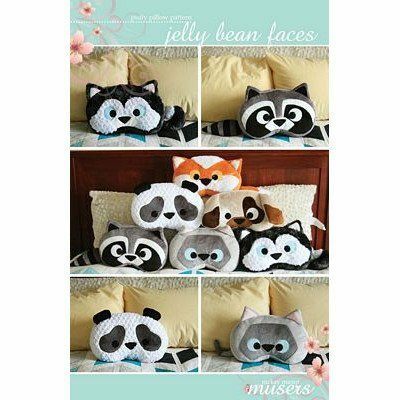 The Jelly Bean Faces Puffy Pillow Pattern uses a mixture of traditional sewing techniques and applique to create these adorable animal face pillows. The ears, eyes, and nose are all applique which adds texture to the pillows and makes construction easier. These cute and cuddly pillows will make a perfect gift for the child in your life! Includes patterns for 6 different animals.